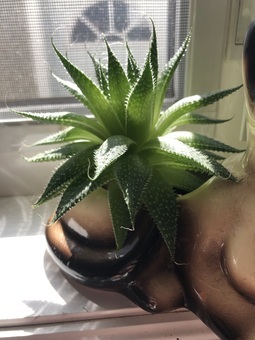 im not a huge succulent person, so i have no idea what’s wrong with it. what am i doing wrong? PlntNrd Its over watered. 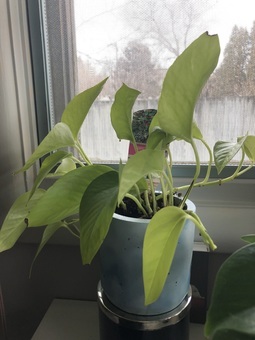 You can see that it’s overwatered by looking at the lower leaves. That bottom leaf in the forefront is yellow/almost translucent. That is from too much water. It also looks like, rather than being etiolated, it has lost leaves making it appear as there is lots of space on the stem between leaves. The top looks like it has some rot issues from overwatering too. Pei looks like it's not getting enough sun! Erin I'd move to bright direct light (if it's not in a spot that receives that light already), and remove the rocks from the top. 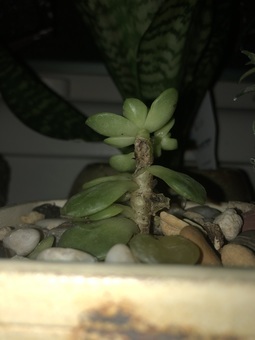 Those rocks can help potting mix hold in moisture - which is something a succulent definitely doesn't need. It likes it dry! PaulLHo That is a begonia! 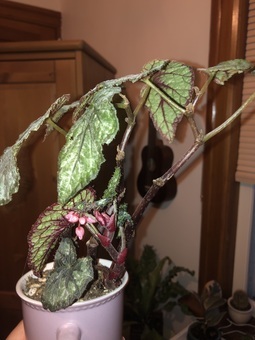 jenna Begonia :) They like bright light, a snug pot with good drainage, not to totally dry out, and most importantly, high humidity. 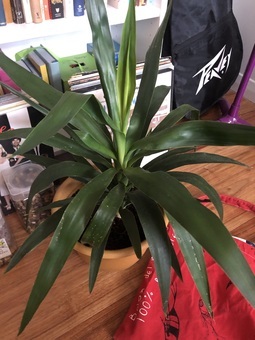 i got this plant a while ago and i’m not sure what it is or how to take care of it. can somebody please tell me what it is? Pei Are the leaves thick and hardy? PlantMom I’m not sure if the variety, but it looks like a dracaena.